Showcase your research by presenting your work at the Neuroscience Data-Blitz! 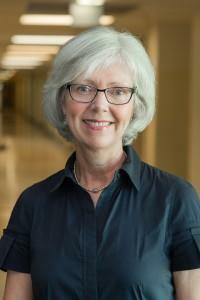 First, the BrainWaves team would like to extend a warm MiNDS welcome to Dr. Lyn Turkstra. She is the new Assistant Dean and Professor of Speech-Language Pathology in the School of Rehabilitation Sciences here at McMaster. Dr. Turkstra has been looking for a way to bring Neuroscience faculty and students together so that they could share knowledge and build a stronger community of scientists. She has decided to start a new initiative, the MiNDS Neuroscience Data-Blitz, and would like to invite you to share your research with the neuroscience community. Presenters can be students, faculty, postdocs, or any others involved in research here at McMaster. A data blitz is series of short talks - 5 minutes each and 1 power point slide - that present “bite-sized” bits of research followed by a 5 minute question period. This is a wonderful opportunity to get feedback about your research from your peers and get to know each other and share ideas. This data blitz session will have 6 presentations and time for socializing before and afterward. The Turkstra lab is sponsoring pizza, and attendees are invited to bring beverages. We look forward to hearing from a wide range of researchers, and in all aspects of neuroscience from molecular and cellular to systems. If you would like to present or simply attend, please RSVP and email Sandra by November 22nd. All are welcome!